A Supreme Court Bench comprising of Justice Ranjan Gogoi and Justice P.C. Ghose has restrained ruling parties from publishing photographs of political leaders or prominent persons in government-funded advertisements. (1) Publication of photographs of the Government functionaries and political leaders along with the advertisement(s). (3) The recommendation with regard to performance audit by each Ministry. (4) Embargo on advertisements on the eve of the elections. According to the petitioners such practice becomes rampant on the eve of the elections. The Writ Petitions, filed as public interest litigations, were resisted by the Union of India primarily on the ground that the issues sought to be raised pertain to governmental policies and executive decisions in respect of which it may not be appropriate for the Court to lay down binding guidelines under Article 142. Earlier in April last year, a bench headed by Chief Justice P. Sathasivam constituted a four member committee comprising of former Director of National Judicial Academy, Bhopal, N.R. Madhava Menon, former Lok Sabha Secretary T.K. Viswanathan, senior advocate Ranjit Kumar and the Secretary of Information and Broadcasting Ministry to look in to the matter of allegations of misusing public funds by the government and its authorities in giving advertisements in newspapers and television to get political mileage. Read the order and LiveLaw coverage here. The report of this panel, as submitted in October, recommended that name and pictures of political parties, their office-bearers etc. 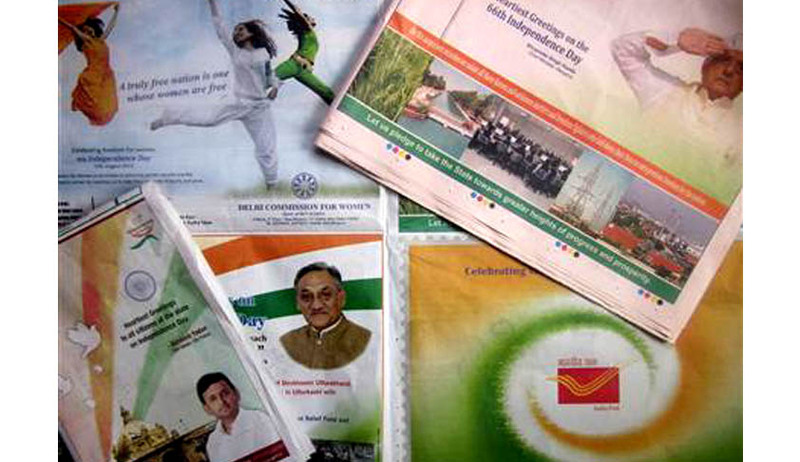 should not be used in government advertisements, and also stated that there has been “misuse and abuse” of public money on such advertisements. Advocate Prashant Bhushan has regarded the report of this panel as “salutary”. v) Advertisements must comply with legal requirements and financial regulations and procedures. You may read LiveLaw coverage of the case here.